Song of the day: Michael Carpenter & Rob Smith – "Look Through Any Window"
The exhaustingly prolific Michael Carpenter, an Australian power-popper who apparently needs no sleep at all (just look at his discography), has released yet another album. This time it’s a collection of cover versions of some of his favourite songs. And in keeping with Michael’s I-never-stop ethic, this is his fifth album of covers. 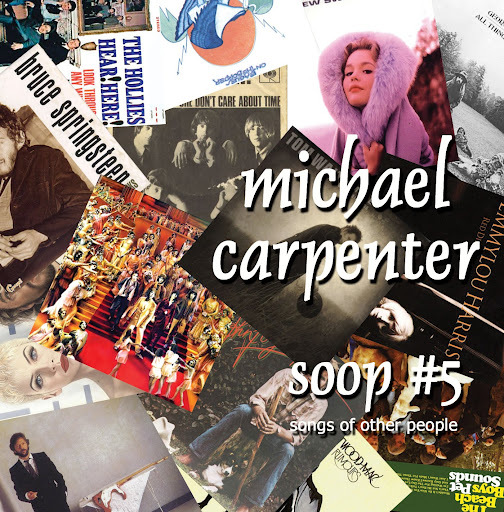 It’s called S​.​O​.​O​.​P #5 – Songs Of Other People, and you can hear it over at Bandcamp. For this particular album of covers, Michael brought a different guest musician on board for each song. You are currently browsing the archives for the Rob Smith category.